Put your hands together for Little Big Town as they come to the live stage at Red Rocks Amphitheater! With so much hype around these country music superstars – youʼd be crazy to miss it on Thursday 20th September 2018 – tickets available today! The talented group are bringing a brand new and exciting set of dates to promote their most recent album! Set to be one of their biggest and best tours yet, there's no time like the presence to grab the chance to be there! 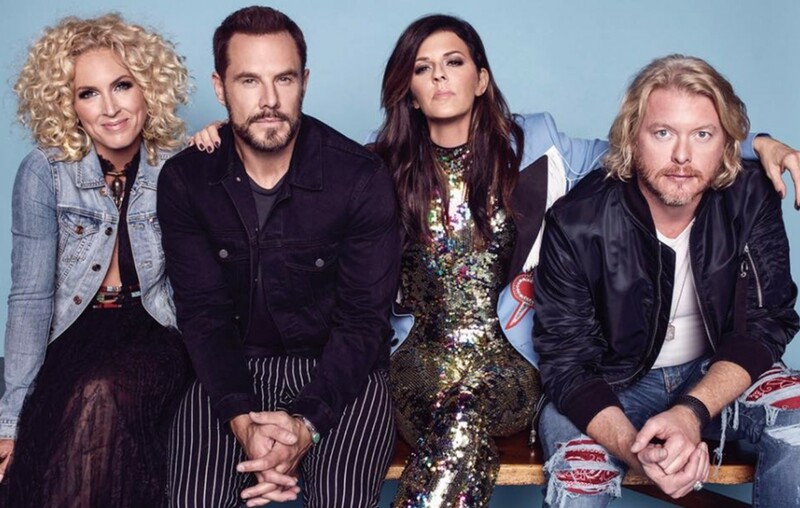 As one of the most prominent bands in Nashville, Little Big Town have remained at the top of their game ever since the beginning of their career back in 1998. As they signed to Mercury Nashville Records and released their chart topping anthems, on their record in 2002 and then by 2005 they were ready to release a second record and have never looked back since. With a wide collection of songs that take influence from the classic country genre but bring it up to date with a modern twist, these guys really know how to write a hit. Little Big Town are of course made up of the talented musicians and four members that have always remained the same; Karen Fairchild, Kimberly Schlapman (formerly Kimberly Roads), Jimi Westbrook, and Phillip Sweet. Together they blend harmonies effortlessly with the added essence of guitar. To this day Little Big Town have released records such as the 2010 – The Reason Why, along with; Tornado (2012), Pain Killer (2014), Wanderlust (2016), and The Breaker (2017). All of which smashed the charts each and every time, taking to the top of the Hot Country and making the number 1 spot with their tracks such as; "Pontoon", "Girl Crush", and "Better Man" and staying in the top 10 with "Boondocks", "Bring It On Home", "Little White Church", "Tornado", and "Day Drinking". If you love Little Big Town and lets face it, who doesn't?! Then head to the buy now page above today and secure your seats or your dance floor for the big night at Red Rocks! It does not get any better than this….